Creston, B.C. 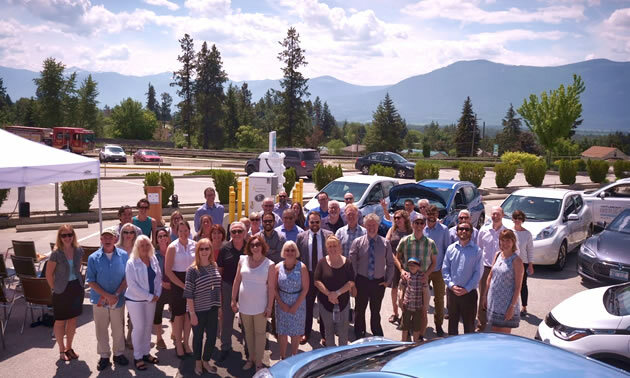 – Canada’s first regional and community-driven strategy to accelerate the adoption of electric vehicles celebrated its Kootenay-wide network of electric vehicle charging stations this week. The initiative has installed 10 out of the 13 Direct Current Fast Chargers (DCFCs) planned across the region, and will have installed 40 Level 2 charging stations by the end of the summer. 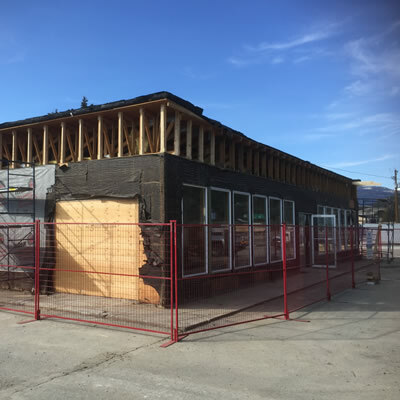 Electric vehicle drivers now have a fast charging corridor across Highway 3 in the Kootenays, and by project completion, the Kootenays will have over 1,800 kilometres of connected electric vehicle travel. Fast charging stations are critical infrastructure to allow electric vehicle drivers to travel to and within the Kootenay region, connecting communities from Sparwood to Greenwood, Revelstoke to Field, and all communities in between. The new charging stations not only make electric vehicle ownership feasible for Kootenay residents, they have the benefit of allowing tourists driving electric vehicles to visit their favourite local destinations. 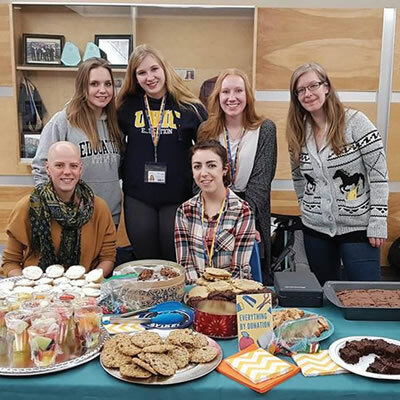 This week’s event in Creston celebrated the success of the Accelerate Kootenays initiative with many of the partners and funders involved over the past two years. In attendance at the launch on Friday, May 25th was Hon. Michelle Mungall, Minister of Energy, Mines and Petroleum Resources and Nelson-Creston MLA, who celebrated the project alongside Rob Gay, Board Chair of the Regional District of East Kootenay; Karen Hamling, Board Chair of the Regional District of Central Kootenay; Bree Seabrook, Manager, Special Initiatives for Columbia Basin Trust; Doug Stout, VP Market Development & External Relations at FortisBC; Maureen Daschuk, Sr. VP Integrated Planning at BC Hydro; and Catherine Adair, Community Relations Leader at Teck Trail Operations. A regional strategy was developed two years ago, which designed a base network of electric vehicle charging infrastructure that would enhance tourism and economic opportunities for Kootenay communities while also providing an opportunity for residents to transition to cleaner fuel vehicles. Fast charging infrastructure is owned and operated by BC Hydro and FortisBC, in their respective service areas. Level 2 stations are installed in partnership with local governments, in strategic locations that will optimize economic co-benefits in the community. The two-year, $1.8 million project is the result of an innovative collaboration between all levels of government as well as funding agencies that have worked together to address the charging infrastructure gap across the region. 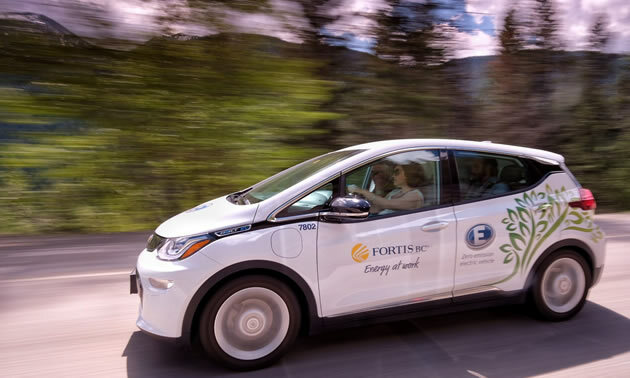 The initiative highlights the opportunities for electric vehicles in the Kootenays, using communications and marketing to bring a local context to the growing technology. The project has been made possible by an unprecedented local collaboration led by the Regional Districts of East Kootenay, Central Kootenay and Kootenay Boundary, and includes in-kind and funding contributions from the Federation of Canadian Municipalities’ Green Municipal Fund TM (GMF) and the Government of Canada, Columbia Basin Trust, B.C. Ministry of Energy, Mines and Petroleum Resources, Teck, FortisBC, BC Hydro and Powertech Labs. 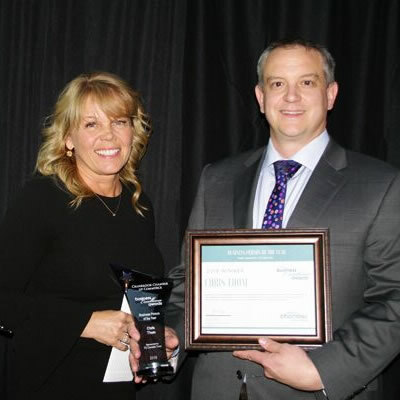 Under the Green Municipal Fund, the Government of Canada and the Federation of Canadian Municipalities announced a grant to support Accelerate Kootenays in February. GMF supports initiatives that advance innovative solutions to environmental challenges. The Accelerate Kootenays project is facilitated by Community Energy Association. For more information visit www.accelerateKootenays.ca.